To register with us, either speak to a captain directly or click Login/Register in the menu, then follow the registration steps. Want to get involved with rowing? You’re in the right place! Whether you’ve just arriving at Caius or are a current student wanting in on the action, this is the page for you. At Caius almost half of the freshers intake try out rowing – whether it’s to keep fit, be involved with the College’s biggest, most active and most successful sports club or simply to meet loads of people and enjoy the social side. In freshers’ week, there will be a stall at the college freshers’ fair for you to talk to some current rowers and sign up. There’ll also be an ‘open boathouse’ at some time in the week too, where you can check out our facilities and maybe get on the water for the first time. Don’t worry if you haven’t set foot in a boat before. Very few people arrive with prior experience and Michaelmas Term is the time that the majority of people learn to row. We’ll start off the term “tubbing” in a small, virtually unsinkable, two person boat and then quickly move into the VIIIs. The aim is to compete against all the other novice College crews in the Fairbairn Cup at the end of term. Alternatively, you can learn to cox – a rewarding, responsible position (All the benefits of rowing but with none of the hard work!). 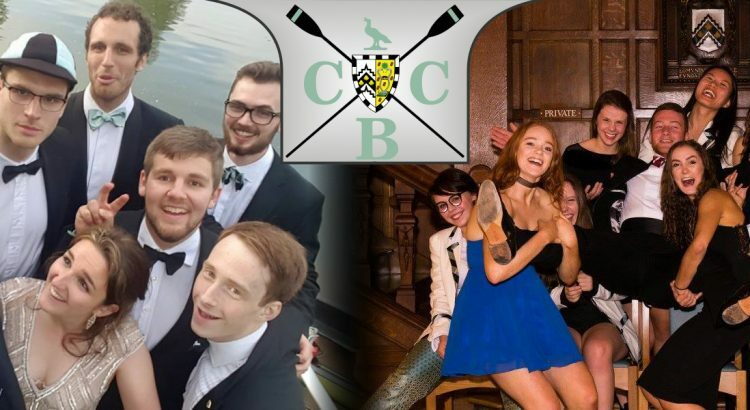 If you have rowed/coxed before, then email the men’s or women’s captains, whose emails can be found on the committee page. Every year many experienced rowers join Caius and enjoy becoming part of our large squad system. Social Scene: From the infamous formal swaps with other Colleges to the end of term Boat Club Dinners, which always end in carnage. You’ll never be short of opportunities to drink, eat (how does 5000 calories a day sound…) and be merry! Health Benefits: Rowing will improve both your fitness and strength. Excitement: Competing in the annual inter-College events as well as travelling to national head races and regional regattas is great fun. You Need to be Huge: Determination and technical skill are always the deciding factor. Lightweight rowing is a huge part of rowing around the country; some of the fastest boats in the UK have guys who have to weigh less than 72kg to compete! I’ll Be Too Busy: Rowing is organised around lectures, labs and supervisions at times to suit you. At the end of the day we are all here to study for a degree, so there shouldn’t be a massive conflict.